With over 250,000 hits on YouTube and regular new videos, the Green Granny is an Internet phenomenon with a substantial fan base. Recession-busting, simple steps towards greener living have never been more topical, as environmental issues and the credit crunch still dominate the news. A strong association with the internationally recognised charity Oxfam gives this book instant credibility. The Green Granny is the modern day Mrs Beeton, a real-life domestic goddess with more than just a few delicious recipes tucked up her sleeves! Brought up during rationing, she is armed with a whole host of practical life skills for modern-day living, like how to shop effectively, throw away less, cook once to eat twice, sew on buttons, darn holes, clean naturally, and all while caring for the environment. 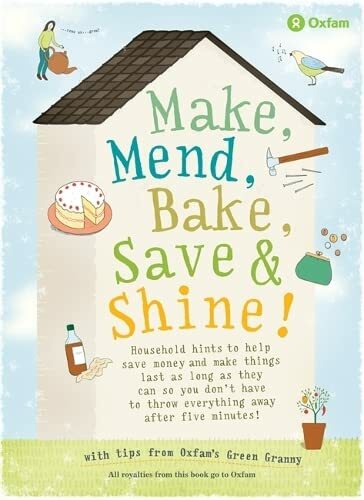 This is a treasure trove of wisdom and lost practical skills from the 'make do and mend' era. For families who want to do more for less, anyone about to branch out on their own, or just if you are sick of waste around the house, this practical survival guide will help with all the demands that running a home presents. With all the economic doom and gloom in the news, there has never been a better time to learn to tighten your belt and start saving money, time and the planet.